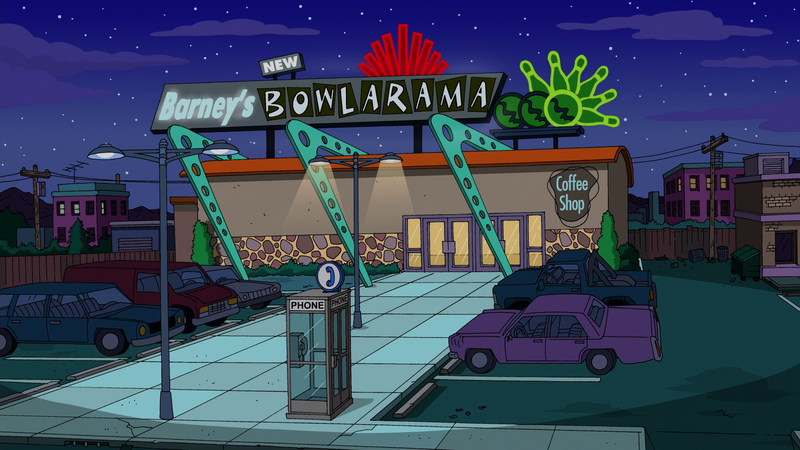 Barney's Bowlarama is bowling alley on the edge of Springfield. 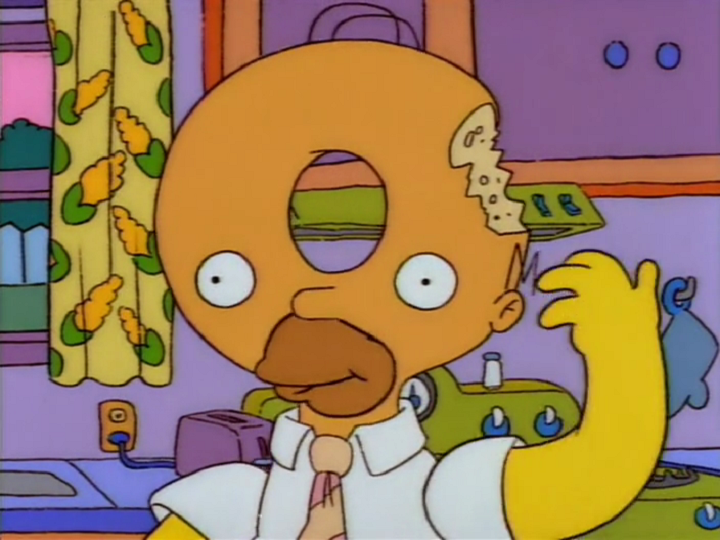 It is owned by Barney Gumble's Uncle Al Gumble. The Bowl-O-Rama was destroyed when a fire in downtown Springfield destroyed it, alongside Symphony Hall, the Springfield Museum of Natural History, and the Springfield Arts Center. However, it was rebuilt quickly, and subsequently destroyed in other episodes, such as when it was picked up by a hurricane and moved on top of a thin rock formation. The church sermons were held here after Homer won a court case to own the First Church of Springfield. Every week, they had a league night, which includes various teams of 4 bowlers each. The Pin Pals are a team that consists of Homer and his pals. Holy Rollers are a team that consists of religious characters. They dress up like monks and have a choir. Channel 6 Wastelanders are a team that consists of media personalities. The DMV Kings are a team that consists of DMV Employees. Home Wreckers are a team that consists of secondary characters that affected Homer and Marge's marriage. Homer worked as a 'pin monkey' at Barney's Bowl-O-Rama for a brief period shortly before Maggie was born. Working at a bowling alley was Homer's lifelong dream. Previously, he worked at the Nuclear Power Plant, but he just worked there to pay off all of his debt. As soon as he paid everything off, he quit his job and asked Barney if he could get him a job. Barney turns around and asks his uncle who fires Barney and gives Homer his job. Homer just started enjoying his new life, no debt, two kids,beautiful wife, until he heard Marge was pregnant with Maggie.He asked for a raise and said he would get one if he could attract costomers. After failing His heart sank and was forced to quit his new job and crawl through Mr. Burns' wall to get his job back in sector 7G. He would also go on to bowl a perfect 300 game here. 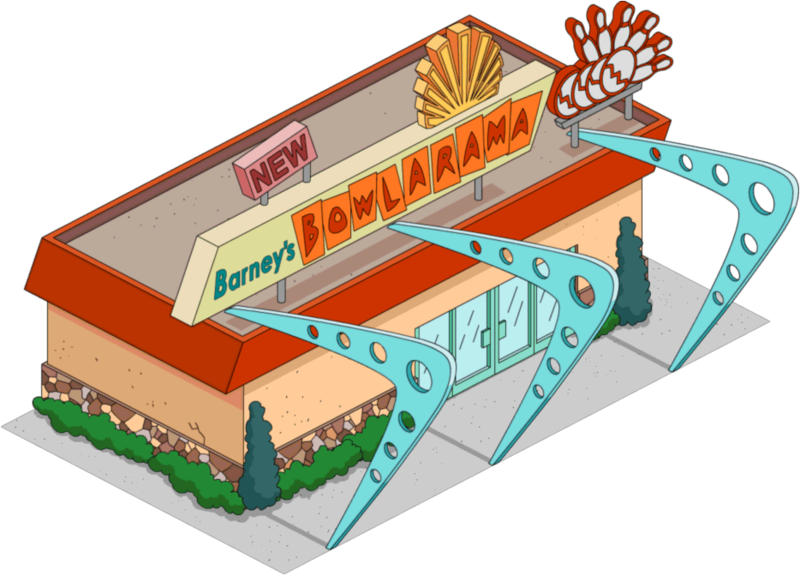 In 2525 a new Barney's Bowlarama opened in Springfield with the name "Barney's Bowlarama 3000". 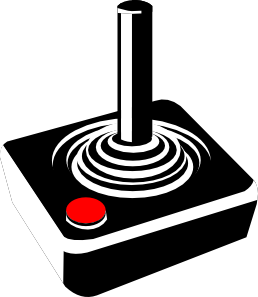 Modified on October 12, 2016, at 08:17.